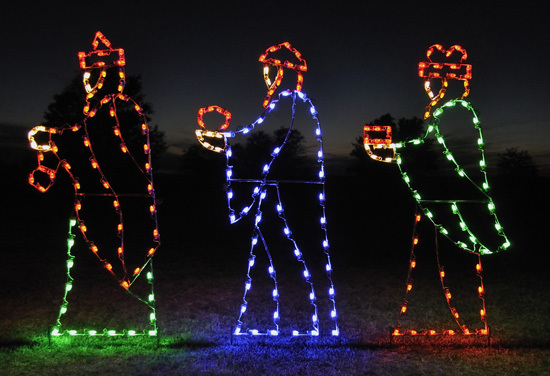 This beautiful three wisemen light display set is the perfect complement to the town's most stunning nativity display. Joseph, Mary & Child - Perfect for your lighted nativity. This standing donkey will make a perfect addition to your nativity display.